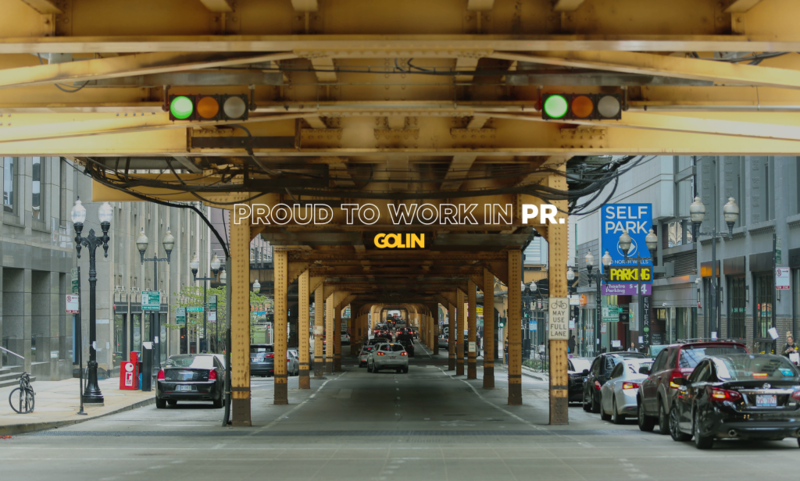 CHICAGO (November 1, 2018) – Interpublic Group (NYSE: IPG) agency Golin announced today its new progressive approach to reclaiming public relations, redefining it and moving it forward. In an era of unprecedented communications confusion, Golin’s plan is designed to drive pride in their profession and deliver stronger, measurable business results to their clients. Golin’s actions will include significant investments across their core g4 competencies – media and influencer relations, customer experience (CX) tools and earned-first creative talent. In recent years, agencies across the globe, including Golin, have run away from the term public relations, in favor of other buzz words like integrated, digital and marketing. Progressive PR reinforces the importance of effective public relations for companies and brands, while also cementing the value of public relations for professionals who have dedicated their careers to it. As part of Golin’s progressive PR strategy, the agency launched a new global operating system with a suite of products to support data and analytics. The new technology is designed to predict and inform strategies and measure results throughout the entire customer journey. The first, Relevance Radar, is a powerful artificial intelligence listening platform that helps predict, mitigate and measure opportunities for clients. The second, CXPR, blends Customer Experience with Public Relations techniques to build deeper relationships with customers, tell compelling stories and connect with influencers in the moments that matter. CXPR leverages insights from social data to inform business decisions. Both Relevance Radar and CXPR align public relations with the entire customer journey to maximize impact for clients. To help clients reach a profoundly diverse global market, Golin has pledged that each of its offices reflect the cities and communities in which they are based in. To achieve this aim, Golin has hired Margenett Moore-Roberts, Yahoo!’s former global head of inclusion and diversity. In her role as Golin’s chief inclusion and diversity officer, Margenett is counselling clients and staff on effective strategies to reach diverse communities around the world. Furthermore, as part of the agency’s progressive strategy, Golin is committed to gender pay equity in each of its offices around the world, including affiliates. This comes on the heels of other progressive initiatives which were rolled out earlier this year. Have Her Back, a call out to the entire industry to welcome female creatives back and propel all women’s careers forward launched in March. Since then, Golin has more than doubled the percentage of women represented in its creative leadership from 20% to 42%, and 80% of the agency’s creative hires have been women.